The fun (or should I say unsettling) thing about paradigm shifts is that it’s hard to tell when they’re happening. But I spotted one recently, and it kind of rocked my world. If your company recruits recent college graduates, chances are your new employees barely think about email – and may not use it at all. They tweet, they text, they use instant messaging. They use Facebook, Instagram and Pinterest. But the last time they dusted off their gmail accounts was to send a note back home for money. And that was only because Mom and Dad still use email. Talk about a paradigm shift! College students now rank texting as the number one form of writing and cell phones as the top writing platform. Millennials think email is for old people. Students use it mainly to communicate with parents, professors and bosses. While they may use it, they don’t value it. When I talked about communications in a post-email world at an internal communications conference recently, there were some skeptical faces looking back at me. But afterwards, more than a few attendees told me they experienced a revelation. Suddenly they understood why their college-aged offspring responded instantly to texts, and also why there could be a gap of several days before their emails were answered. Quod erat demonstrandum. It’s actually not such an outlandish notion, this life without email. 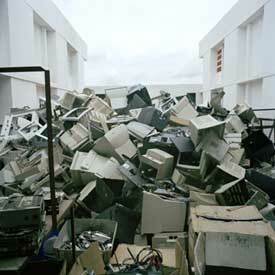 It would hardly be the first office technology to achieve obsolescence. In an era in which most people can access a scanner, why does my business card have a fax number on it? To be sure, I am not predicting that Outlook will take its place in the Smithsonian next to the telegraph and carrier pigeon any time soon. But it feels like we are on the cusp of one of those paradigm-busting transitions that we usually don’t see coming. Like when I noticed I no longer have ink on my fingers from reading the print edition of the New York Times. I have smudges on my iPad instead. People in the internal communications business not only need to embrace this transformation but be a driving force behind it as well. That’s because the basic communications model most of us use today hasn’t changed much since 1886 when, in a variation of the pen being mightier than the sword, the Smith brothers quit making guns and started making typewriters. That model can be characterized as “Me talk, you listen.” Internal communications is largely a one-way process, generally from the top down. And for all the lip service given to the desire for two-way communication, few companies have put in place the technology to facilitate and encourage up, down and sideways dialogue. But that’s what the next generation of workers tells us they want, and not by way of the dreaded annual employee survey but in the manner in which they communicate everywhere else except in the office. It would be great to get ahead of this post-email world. We’ll have to if we want to stay relevant to our various constituents, especially our employees. If your company hasn’t started looking into some of the emerging platforms that can help you redefine your communications model, now’s the time. Times change. 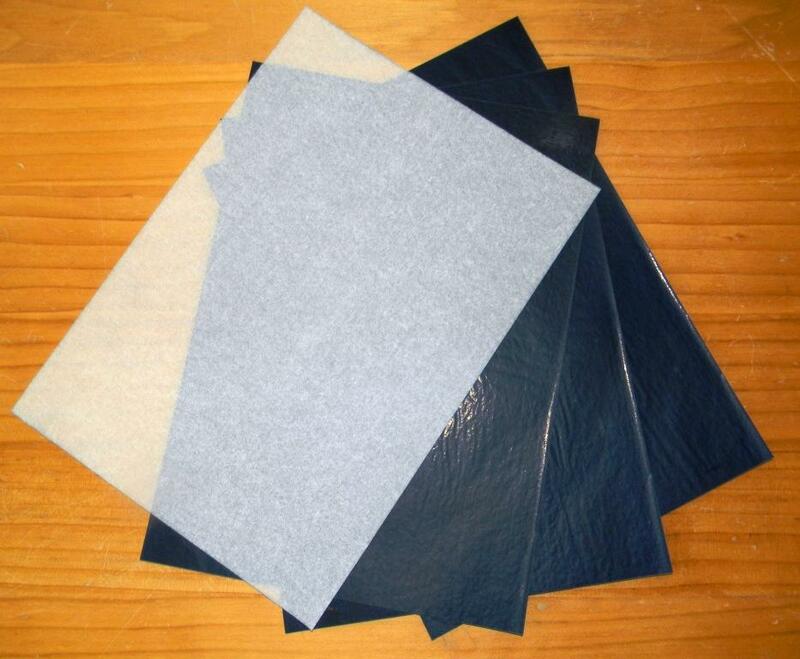 Shopping for some paper for my home printer, I came upon a product I thought I had seen the last of during the Reagan administration: carbon paper. Resisting the impulse to see if the store also stocked eight-track tape players, I paused to reflect on how much carbon paper had been a part of my early working life, and then suddenly it wasn’t. I don’t remember exactly when I used my last sheet of it, but if you have ever had to use the wretched stuff, I think you will agree that it lives best as a distant and not-so-fond memory. Thank heavens for the convenience of PCs and email! For a nice video on why email was invented, look at this: http://youtu.be/0i1w7ZYHwXw. And enjoy email while it lasts. Great post, Chris. My 18-year old daughter rarely uses email. I communicate with her by telephone or text messages. Will the world’s premier killer app, email, finally be surpassed by other technologies? It’s hard to imagine since email is so deeply interwoven in the organizational matrix. Thanks, Carlos. We who were the first to use email will be the last to let it go, I suspect. I think this has been true for some time. The biggest problem with it (and there are many) is that people are pretty guarded with their cell phone numbers, needed for texting. Email not so much. So if I as a 58-year-old need to communicate with someone 18-25, there’s an automatic barrier. Usually if I ask for an email address, they have to stop and remember it. This is a long term change, and right now it’s getting to be awkward. Great piece Chris! You should post it on Spark – the digital natives out there will love hearing this from someone in your position.Communications people (internal primarily) across the business world seem to be the last ones embracing this paradigm shift because of what it may mean to the future of what they do. But I think it also opens up some exciting opportunities to reshape the role of an internal communicator.